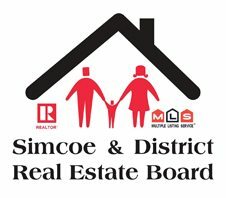 Simcoe & District Real Estate Board Simcoe & District Real Estate Board updated their cover photo. Looking for something to do on this Long Weekend? Hippity Hop your way over to an Open House! Hosted by one of our many Simcoe & District Real Estate Board (Norfolk County) licensed Real Estate Professionals. Simcoe & District Real Estate Board Simcoe & District Real Estate Board shared a photo. The REALTOR® Code, which sets out standards of professional conduct for members of CREA, helps protect the rights and interests of buyers and sellers. Their advocacy to the government continues to influence legislation for the benefit of homeowners. CREA’s efforts also allow our REALTOR® members to better serve their clients. Their vigilant eye on both the economy and government, plus the economic statistics and analysis they provide, enhance our members’ knowledge. This in turn can improve the quality of advice they can provide to clients. As well, the REALTOR® Code helps create a level of trust between REALTORS® and their clients. Sarah and her team strive to provide you with knowledgeable and expert advice for your insurance and financial service needs. They are here to protect you and your family from life`s unanticipated events while providing you with remarkable service to reach your present and future financial dreams. Helps take Realtors® clients step-by-step through everything they need to get done for their move ie: change of Address notifications, transferring home services, updating identification, helpful advice. Providing Buyers and Sellers with mortgage rates, refinancing options, financing options, borrowing options, credit cards, bank accounts and so much more. The Norfolk County Realtor® Trade Show will take place on Thursday May 9th. This Trade Show is open to all Licensed Realtors®. Discover this edition for free!